There are several National Park Service sites that do something that very few places on earth can do. They stop you right where you are and they make a lasting memory that you never forget. White Sands was one of those places for me! 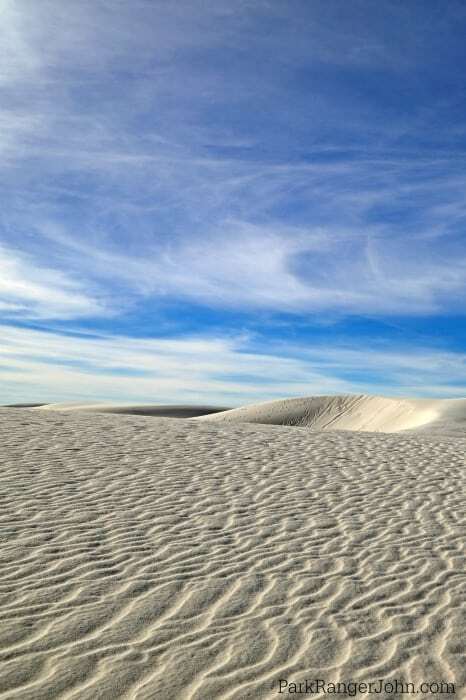 I will personally never forget the first time seeing White Sands National Monument and it’s pure white gypsum dunes that seemed to last forever. 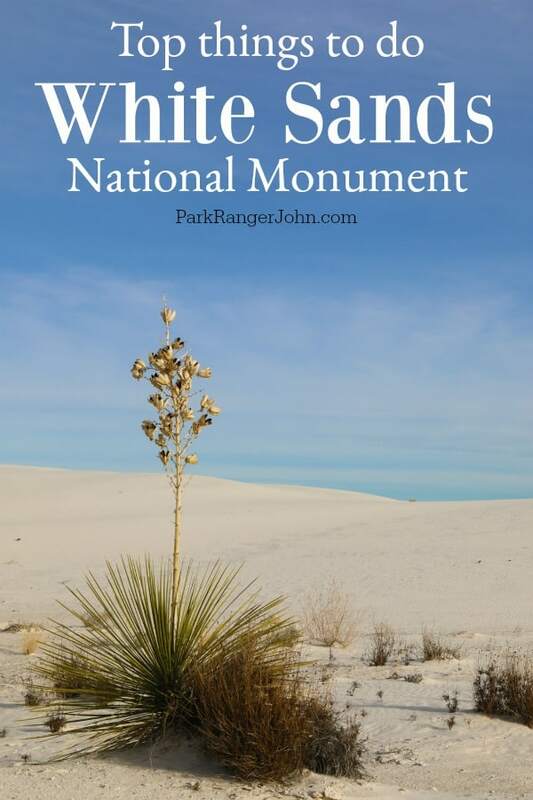 This makes me so excited to share my favorite Things To Do White Sands National Monument New Mexico. 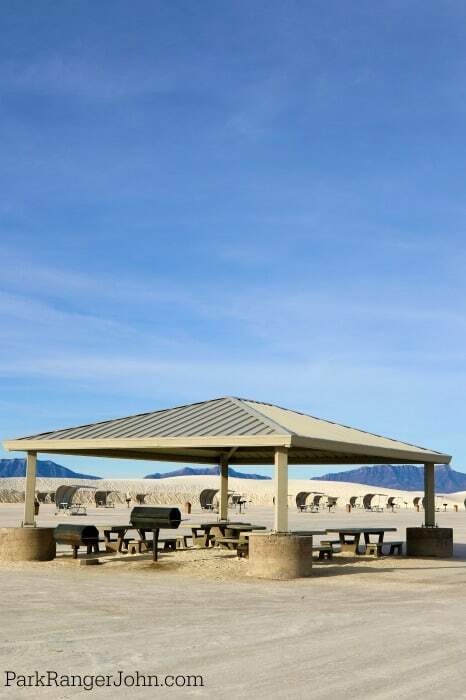 The Dunes drive takes you into the heart of the world’s largest gypsum dune field at a staggering 275 square miles! The road is 16 miles roundtrip with the first five miles in & out being paved. It’s the road past the pavement that you will remember most. They say it takes approximately 45 minutes but who really just drives through and not stop? There is so much to see and do so take your time and enjoy the park. 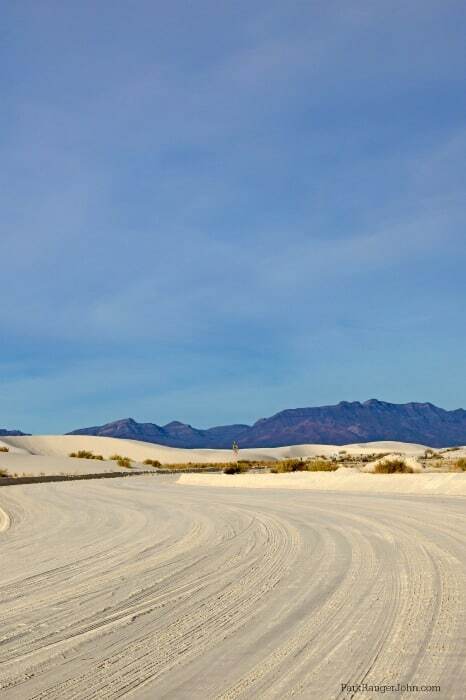 There are 5 trails at White Sands and something for everyone. The Interdune Trail (in the photo above) is a great ADA accessible boardwalk that is 4/10 mile roundtrip with great views and lots of interpretative panels telling you about the park. The Dune Life Nature Trail is a 1-mile moderate self-guided nature hike. Here you have the opportunity to hike up and down a couple of steep dunes. The Alkali Flat Trail is a strenuous 5-mile roundtrip hike. This hike is constantly hiking up and down gypsum dunes and skirts along the final remnant of Lake Otero. My first impression was that it felt like I was on another planet. It’s okay because you will quickly jump out and start playing in the sand and having fun! Afterward, have lunch and perhaps play some more or try out sledding. Park Ranger John Pro Tip: Make sure to carry colored plates, napkins & silverware. White blends in very well with the gypsum and can make for a difficult time if the wind picks up and blows things off the table. This is one of the parks biggest attractions! The best part is that you don’t have to bring a sled with you. Just stop by the visitor center when you arrive and get your sled there. You can either buy one or simply return afterward and make it a rental. 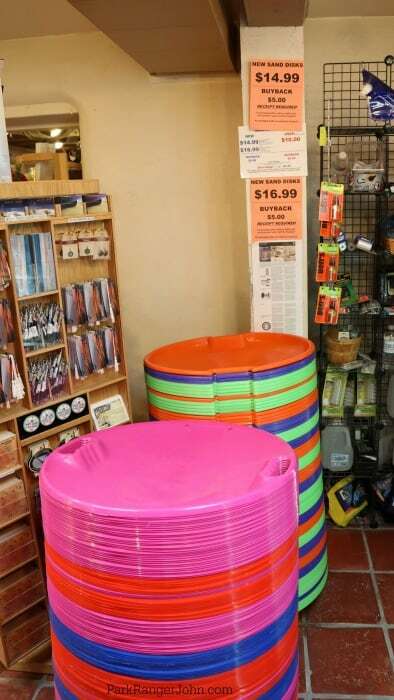 This leaves more room in your car for what you need for your road trip and is the perfect way of recycling something instead of another thing cluttering your garage at home. Try to take photos during the Golden Hours. Make sure to take care of your equipment! Sand does terrible things to cameras and lenses. Blowing sand can get into cameras/lenses just as easy as falling in the sand. 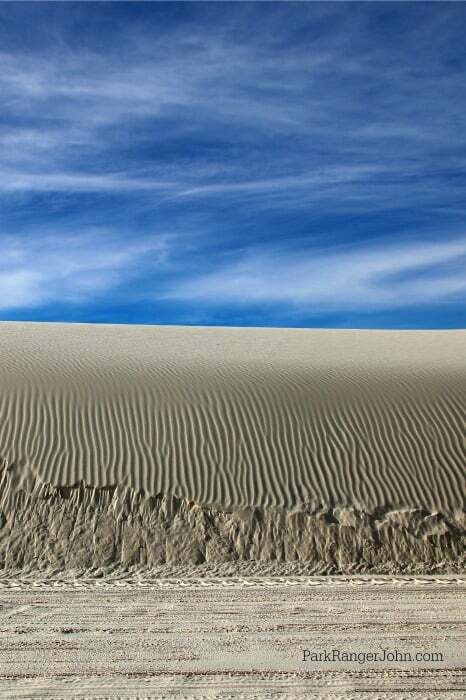 White Sands offers several ranger Programs for people to enjoy. You can take a sunrise photography tour and sunset strolls. Try to visit during a full moon and experience Full Moon Nights; a cultural legacy of New Mexico and Northern Mexico. Full Moon nights offers park visitors Full Moon Hikes, live music, ranger programs, and special guest presenters and artists.